My apologies to all at the horrid delay in updating you with our news. A frenetically busy and fantastic summer full of some fabulous couples and cakes to match. Cliveden House Hotel, The Berkeley, The Waldorf and The Connaught – Really all the most stunning hotels and an absolute pleasure to work in. 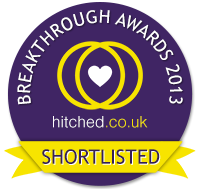 We were also nominated for Best Breakthrough Cake Designer 2013 by get hitched, had our cakes at the stunning Cake and Bake Show at Earls Court in September – in the ‘Wedding Cakes of the Future section’, along with our cupcakes at the Wedding Magazine Blog awards. We also have some great coverage in all top 3 wedding magazines in the next two months – Brides, Wedding Magazine and Your and Your wedding. It was wonderful to work closely with all 3 teams to really create some fabulous wedding cake designs for their style page. (We will reveal these when the magazines are on sale). We also had a celebrity birthday cake to do this month – which was great fun, we can’t yet reveal the celebrity yet but you can see the boat cake on our occasion cake page. We are also very excited about our new stunning cake flavour; Vanilla bean sponge with white chocolate ganache buttercream and passion fruit curd. Even though we do say so ourselves this really is a divine combination. The lightness of our signature vanilla sponge, combined with the silky white chocolate ganache buttercream and the super tangy passionfruit curd is already a winner with brides. We are so excited to have continue to develop some great relationships with some of London’s top wedding and event planners to continue to create stunning designer wedding cakes whether you are looking for vintage wedding cakes, classic wedding cakes or unique wedding cakes (or of course any occasion cake!) – then do not look any further. No appointment necessary on this date but come early it gets very busy. We recommend our sale for Brides that know what they are looking for and love a bargain! On sale are beautiful designs including classic, lace, vintage styles by; Pronovias. Yolancris. Cymbeline. Gemy. Mirror Mirror Couture. Ian Stuart. plus others. We kindly request only one guest per bride, and suggest it’s not a suitable environment for babies or toddlers. If you are at the beginning of your search for ‘the one’ we would suggest making an appointment with either of our boutiques on another date. 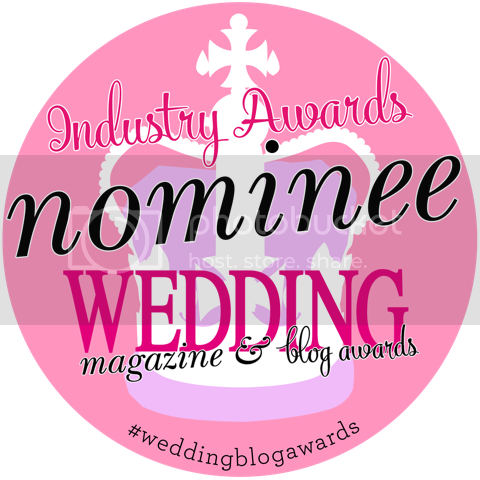 The Buckinghams wedding website and blog puts you in touch with fabulous wedding suppliers and brings you beautiful wedding inspiration. Now they are holding their first ever Luxury Wedding Fair & Bridal Event for you to get up close and personal with the people behind the style. Handpicked by Buckinghams, you’ll be able to discuss your wedding in a calm, comfortable and inspiring environment with wall to wall bridal ideas and products for you to choose from. Visit their Pop-Up Boutiques including their 16+ Bridal Boutique and find your wedding dress with many showroom gowns available to purchase on the day. Find your photographer or try on your wedding rings then try a slice or two of wedding cake before making a start on your gift list. This promises to be a fabulous event and with pre-bookable FREE TICKETS and special little extras for Early Birds you’ll want to book NOW. They look forward to seeing you there! I do hope you all have had wonderful weekends. We are so excited with our new website and have had some great feedback about our new collections with press coverage already in 7 magazines this year… with You and Your wedding magazine due to show 2 new unseen designs in their new issue launched this week. What we are hoping to do, going forward, is to highlight to you our different features that we offer from Egg free cakes, to double height tiers to our press coverage articles and classes coming up next year – so that you truly understand what we are about our services and who we are. As a starting point however (and what we always enjoy doing), is letting you see a snipped of what we ‘ve been up to and the cakes that we have been putting together. We have had some great designs to do this year with our Sofia and Tabitha as popular as ever and really working in so many different environments. This on the left, is our lovely Tabitha in February earlier this year, a light cream fondant, light cream piping, Sweet Avalanche roses on top and sugar rose petals around the base of each tier. Below you can see a 2 tier version of Sofia from May; light cream/ivory fondant with painted bridal lace with sugar piping, piped pearls and a double satin bow tied at the front. I love how the bride chose to have all her bridesmaid’s bouquets on the table with Sofia. A very creative way to really make your wedding cake shine, without adding more to your budget. The Painted Hall is part of the Old Royal Naval College and really is absolutely breath taking – so if you have a day spare take it is absolutely worth a visit. We had to wait to put our cake in the hall until 5pm as the public were still feasting their eyes on the glory that is seen here. What makes each cake even more special is that each couple that these cakes were made for made a special effort to either email, write a letter or call (and email) to say how utterly thrilled they were with their cakes and how they were very much a talking piece of their day. We work very long hours to make sure we provide both cakes and a service that is second to none and really this makes our jobs even more worthwhile – so thank you to Deborah, Pippa and Vivienne – as always a pleasure to provide these cakes for you. Wishing you all amazing weeks and we hope to have another update for you very soon. If you want to see any other updates please do visit us on Facebook and come and say hello we would love to hear from you. Just a very quick update to say how thrilled we are with our new site and we really hope that you like it too. The last year seems to have gone by in a whirlwind and we have been lucky enough to produce cakes for some lovely couples in some stunning venues, from Claridges to The Painted Room at the Royal Naval College and St Pancras Renaissance to the Langham. We were also nomintated for Best Cake Designer by Perfect Wedding Magazine – which we were thrilled about, which was closely followed by a wonderfully successful show at The Designer Wedding show last October with our Autumn 2012 collection. So now at long last we have our new Dessert table range along with our new razor sharp edges mini collection with our new website launch. Thanks to Penny @ www.Lovescarlett.com, Mark @ www.markbothwell.com, Sadie at www.sadie-rose.co.uk, Karen @ www.pompomfactory.com and Reshmi @ www.angesdesucre for their help. You will also see one of our more contemporary designs below which was designed for the Press launch of www.lovescarlett.com – which we are immensely proud to be a partner in. Thanks to Chloe @ www.caughtthelight.com for the pic. Please do please browse through our site and if you have any questions at all please do not hesitate to get in touch. We have a few spaces left over the next few months so even if you are late in the day to book your luxury wedding cakes – please do ask. This month you can see our cakes in the May/June issue of You and your wedding together with Wedding Venues and Services and the new edition of Wedding Magazine – so dont’ forget to look at our Press page. We look forward to hearing from you. At long last, a moment to get back to update our blog. Always great plans to update this on a monthly basis – but as always the bookings have to take priority! Another busy couple of months for both occasion and wedding cakes. One of the best parts about my job is actually meeting with the Brides who wish to book a bespoke cake. We have been very lucky with all our clients so far in that they have all been so lovely to work with. We are very passionate about cake and in particular getting a wedding cake absolutely perfect for each and every client and we’ve had some wonderful feedback so we must be doing something right! We’ve also had some great coverage with magazines calling up asking to feature our cakes: including coverage of our lovely Amelie in the launch issue of Square Meal Weddings, which came out in March, Asian Wedding Magazine and Wedding Day Venues – both now using my cakes over the next couple of months. We were also asked to commission a cake for the lovely Weddings Magazine – I believe out in the next month – so we shall be keeping our eyes peeled! As always the lovely Wedding Cakes A Design Source have included two of our designs a bespoke client cake for last Decemeber and then our stunning ‘Grace’ design. (As we speak being added to our press page). Thanks to the team at Squires who are involved in putting this fabulous Magazine together. One diary date we were sad to miss due to such a hectic diary was the Squires Sugarcraft fair in March – but they have asked us to show at The Cake and Bake Show at Earls court in September, which will be alongside some of the UK’s top cake designers including cake royalty: The little Venice Cake Company and Peggy Porschen. (You’ll find us under the ‘Exhibit’ section). This I think is going to be hugely popular and a great way to be seen amongst the best! I’ve popped above and below some of our updated pictures – we really hope you like them, venues have included Goodwood House, Wrest Park, Brocket Hall and The Royal Geographical Society. We don’t include all pictures on here but just the ones that are likely to have the widest appeal. We do hope our designs continue to inspire and attract Brides and Grooms to be that are looking for a stunning and contemporary wedding cake. If you are looking for a personable, professional but approachable London cake designer (who can deliver all over London and the South East) then look no further! A note to all those reading much as we do tend to feature mostly wedding cakes we are always happy to hear from anyone looking for any kind of occasion or celebration cake – they are great fun to do and we can do most things! Lastly – we have also added an account onto Pinterest so if you have been bitten by the pinterest bug please do visit/follow us – or like us on facebook – where you can see all our recent work. Have a great summer and a wonderful Jubilee bank holiday weekend and any questions about any of our services or cakes that we can do then please just pick up the phone! We look forward to hearing from you. A WONDERFUL START TO A BLOG!!! I am super thrilled to be doing the Luxury Wedding Show again – this time I shall be showing at St Ermins Hotel in St James on Sunday the 25th March! I will have a selection of both new and current wedding cakes as well as some sample cakes. I do love doing the shows; it is a great chance to chat to brides to be and get to meet all the fab suppliers too. Although normally a very long day with lots of follow work afterwords but very much worth the effort. Spread the word and maybe even see you there! I also managed to do the Luxury Wedding Show at The Landmark on March 10th, (which was a great success) and at The Grosvenor House in January. Through this I had my first booking for December – a very super organised bride! Theses guys are a great team and anyone thinking of visiting should definitely go, they really do have some amazing suppliers, wonderful products and services. I have met some great people in the first 18 months – 2 years of my business and am thoroughly enjoying every minute! I have been involved in some fabulous weddings; Maiko at Cambridge University last July – that’s the 4 tier cream wedding cake with ivory roses on top, Louise & Jaco at the gorgeous St Brooks in December, with their 5 tier ivory wedding cake with intricate piping and the vendela rose, (thank you to both of you for such amazing glowing testimonials!) and then also Louise S in November (that’s the three tier), such a simple design but still one of my favourites and then Stephen Bentley in January this year, a version of our lovely Tabitha design with the mixed pink and purple roses on top and these are just my favourites from the year! Thanks to the awesome Compose Photography for supplying Louise & Jaco’s pic (bottom). We’ve also had great coverage including Brides Magazine this year with our Clemence Design, together with The times saying that we were one of London’s up and coming Wedding Cake companies to watch and also covered by the BBC’s great British Wedding Cake with Brides online calling us ‘Chic and Unique’ – not a bad place to start! Other magazines include; You and Your Wedding, Wedding Flowers, Perfect Wedding, Wedding Ideas and Wedding Cakes a design source. We are also due to be in the April edition of Wedding Venues and in the launch of the Square Meal weddings magazine too! Which we are thrilled about. Phew! I was gutted to have missed out on shooting with the new Reverie Magazine as my mum was rushed into Hospital, but I am super looking forward to seeing their launch magazine and wish them all the very best. Hopefully we will get to do something together very soon! I am hoping that I will be doing a very much ‘under wraps’ shoot with Penny from Tigerlily who is just the most dedicated of Wedding planners – hopefully this will all go ahead in April. I shall keep you posted. So next is our 2012/2032 cake collection, still in it’s design process I am super excited about doing more cakes and getting in the studio with the fabulous food photographer Charlotte Tolhurst. (Who happens to be another super lovely gal to work with!). Thanks for taking the time to read this and I hope you’ve enjoyed it. Must work on more helpful info for brides to be in the next one!